Trolling has become the internet’s go-to word for something it doesn’t like. A troll has become the epitome of someone being obnoxious, obstinate, offensive, antagonistic, unpleasant, hateful, or any other negative adjective. And now “trolling” has reached that stage where it’s use has become so prevalent that The Internet is now complaining that it’s become an overused, tiresome turn of phrase. Such is the price of success for certain words in our vocabulary. ESPN’s Dan Le Batard is the rare person who can make trolling into an art form and draw appreciation for it.
.@LeBatardShow Troll, troll, troll your boat. 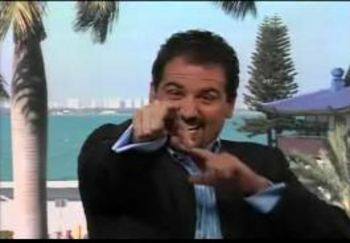 Good for Le Batard for using something we all obviously hate so much for comedic effect. You have to appreciate anyone who can take the act of trolling to such an obvious extreme that he’s actually turning the tables and trolling all the trolls who like to troll out there.